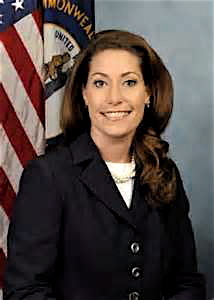 Senatorial candidate Alison Lundergan Grimes. 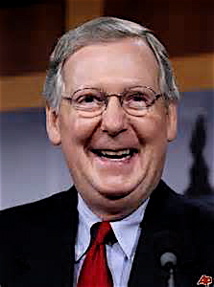 It took three long, speculative months, and actress Ashley Judd declining the opportunity to run, but Kentucky Senator Mitch McConnell finally has a legitimate opponent in his bid for re-election next year. Democrat Alison Lundergan Grimes, the commonwealth’s secretary of state, decided to throw her hat in the ring against the Republican incumbent and reigning Senate Minority Leader. “I have met with my supporters, we have had a great conversation and determined and decided that we can next make the best move, the best difference in the Commonwealth of Kentucky, by running for the U.S. Senate,” said Grimes during her announcement. This was somewhat of an unexpected decision, considering Grimes had been tabbed as a “likely candidate” early in the winter. There was ample opportunity for her to make a splashier entrance into this race, but she first wanted to be sure Judd wasn’t going to run, then did considerable soul-searching, and most likely tested her fundraising viability and the fortitude of her political backers, before giving the OK. Many consider this a fool’s errand to face off with such a seasoned campaigner as McConnell, especially when Grimes, 34, has so much to lose. Her only experience as an elected official is her current position, and she’s only been in that office for 1 1/2 years. Still, Grimes is seen as a rising star in the Democratic Party. The smart money would have seen her wait to take a shot at the vacant governor’s race in 2015. That would provide her a few more years of seasoning, and is a less polarizing race — because a bloodletting loss to McConnell will likely end her promising political career. But without wagering something meaningful there can be little significant gain. Grimes took on this challenge, and she should be applauded. No other legitimate Democratic political figure had the courage to step up. McConnell and his political machine scared them away, so Grimes stepped over the likes of Ben Chandler, to take on this Republican powerbroker. Absolutely there is good reason to be wary of going up against McConnell. He is a vicious, no holds barred campaigner, and will go for a candidate’s jugular if exposed. He also is well funded, with $8.6 million on hand as of March 31, and has bona fide conservative credentials. This all makes it sound like Grimes is insane to take this Republican on, but McConnell, 71, truly is vulnerable. A January Courier-Journal Bluegrass poll found only 17 percent of those surveyed would vote for McConnell unconditionally, while 34 percent signaled they would vote against him regardless. McConnell’s overall job approval rating is at 37 percent, making him the most unpopular senator in the country. Now Kentuckians don’t particularly care if McConnell is unpopular nationally. Hell they elected Rand Paul, they will elect anybody, but what is disturbing for McConnell is his disapproval numbers within the state. The Tea Party is actively organizing against McConnell, and hopes to give him a primary challenge to signify their displeasure with his governance. This isn’t exactly a positive for Democrats. The Tea Party actually wishes McConnell was more of a zealous nut, but it is another indicator that McConnell’s base is fractured. Grimes has a legitimate shot to beat Mitch but has to run a smart, responsive campaign, keeping the Republican accountable to the facts, and beat him face-to-face. She must find a way to appeal statewide, not just as an alternative to McConnell, but Grimes needs to be the preferred candidate on her own merits outside the Louisville, Lexington and Frankfort corridor. This Lexington lawyer has to dress down and go out into the sticks, in the southern, eastern and western portions of Kentucky, and talk with coal miners, the unemployed, the obese, the undereducated, and make the case that she can better take care of them than McConnell has for the past 28-years. That is a case that this time around can be made, because folks are out of work, coal is dwindling, profits have been misused, and the physical health of individual Kentuckians is 6th worst in the entire nation. McConnell has hung his hat on beating Obama, denying any merits of the Affordable Care Act, and is tirelessly working to ensure preventative care is denied to all Kentuckians lacking affordable health care. Grimes needs to make folks feel comfortable, and sooth any feelings of regret they might have about voting against Mitch. He has been there a long time, but has lost his way. This is a great opportunity for the Democrats and for Grimes. I admire the political courage she has shown already. The rumblings thus far from Democratic leaders in Kentucky and beyond are also positive, and it appears Grimes will be rewarded with an energized base with which to take on her five-term incumbent. If she can run a clean campaign, meaning error-free, because little else about this election will be clean, then there is a bettor’s chance that Kentucky will have a Democratic senator in 2014. This entry was posted in News and tagged Alison Lundergan Grimes, Mitch McConnell. Bookmark the permalink.